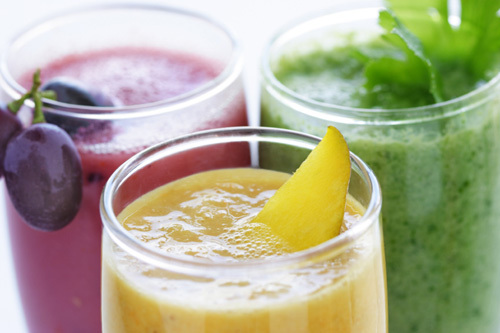 Join us for the hugely popular Spring Detox & Cleanse! This cleanse experience is crafted to change your life and help you feel awesome. Designed to be uniquely customized to each individual, this cleanse offers various cleanse options so that your cleanse experience is balancing and nourishing for YOU! Honoring the seasons helps us realign with the pulse of Life and the energy of Nature. Spring is the time when the Earth gives us cleansing herbs and bitter greens to help detox and clear the stagnant energy of winter. Ayurveda, India’s system of natural health and healing which is a sister science to yoga, encourages us to live in alignment with nature and create time and space for a Spring Detox to support the energy of this season and the natural detox processes of the body. This is a simple and manageable but effective cleanse suitable for all constitutions. This cleanse is designed to support positive, lasting diet and lifestyle changes that will stay with you well after the cleanse is complete. The Foundations for Healthy Living class is a recorded four-session class that is a prerequisite for those who participate in my cleanses and is included as a BONUS for all spring cleansers! The Foundations for Healthy Living class will give you the background and foundation you need to make the most of the cleansing experience. Read on for more info below! Experienced Basics: $145 – If you need herb support, please select the option below. Experienced+Herb Support: $165 – Herbs are an additional $10-60, depending on what you need. With this option, I will touch base with you to determine the herbs you need, and will then order your herbs and have them ready for you. I hope you will join us for this transformational eating adventure! Please be sure to join our email list if you’d like to receive notices about future cleanse dates.